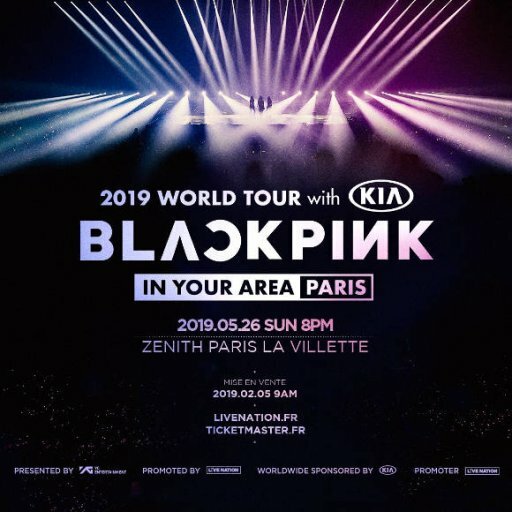 The south-korean groupe BLACKPINK announced it BlackPink 2019 WORLD TOUR! They will pass by the Zenith of Paris for a unique concert after putting London and Berlin on fire. The "BLINK" fans will see their favourite Kpop-hip hop performers: Rosé, Jennie, Lisa and Jisoo on stage. BLINK is indeed exceptional because it is the first female only Kpop group to reach the record of 600 million views with their music video DDU-DU-DDU-DU on YouTube. They are very expected so don't miss the ticket sale on February 5th 2019. Check our list of hotels in Paris La Villette if you wish to have a room near the concert venue.